What’s the best way to encourage a child’s creativity? Give him the gift of art. Children have an innate fondness for drawing, coloring, painting, sculpting and crafting. While nothing can beat paints, paper, and crayons for simple art projects, children sometimes need more inspiration and props to express their creativity in the best manner possible. 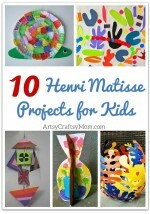 Of late, we’ve seen an influx of stimulating art and craft materials to give shape to a child’s creativity. Taking a cue from it, we’ve bundled a few art and craft gifts you can present to the young artist in your life. Have a look! 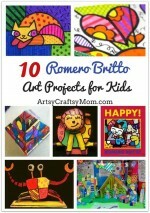 Arts and crafts gifts for kids are always one of our top choices. 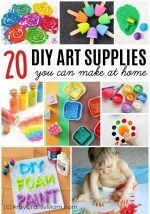 As we always tell our relatives, our kids can never have too many art supplies. (And not just the relatives who buy them slightly scary talking toys.) These arts and crafts gifts should appeal to grade schoolers and tweens who have outgrown the washable markers and preschool crayons and are onto bigger, better, and probably, messier. Do you wish to teach children about botany in an exciting and fun way? Well, then Grow ‘n Glow Terrarium is the ideal gift for them. Grow ‘n Glow Terrarium is a kit to help children create their own miniature ecosystem. The kit requires children to assemble, decorate and water the plants and watch them grow. Teaching your children, the basics of sewing couldn’t be easier with Sew Cool Machine. Unlike conventional sewing machines, Sew Cool does not require foot pedal, thread, needles or bobbins. Just turn the machine one, press the button and start sewing. Let your child sculpt, design and play with clay with the Pottery Cool Clay Studio. The kit includes materials for creating six projects, like smartphone speaker, pencil holder, jewelry holder, smartphone speaker and more. Let your child’s artistic abilities come to the forefront with ALEX Toys Artist Studio Ultimate Easel Accessories. It includes four poster paints, four brushes, four non-spill paint cups, ten colored chalks, two whiteboard markers, a paper roll and a chalk eraser. One of the classic artsy gifts for children. The pack includes Play-Doh in ten different colors for the kids to play with. He can smoosh, press, roll, shape, squeeze, squish or do anything that comes to his imagination with this Play-Doh. This game from Crayola is a good for kids who need competitive encouragement in their art and craft pursuits. It will teach how color mixing and what the results would be. Let’s warn you beforehand. You might be buying this creation for your child, but you’ll find yourself being addicted to it. The kit includes a badge maker and materials to create their badges. It’s alarmingly addictive. If there is one thing kids like more than stickers, it is stamp. Melissa and Dough provide an incredible range of stamps at a relatively reasonable price. The kit can be used to create stories, involved pictures, and other fun arts. This kit includes all the materials needed to create a dog hand puppet. The instructions are very clearly set out in the manual. So we believe, children will face no difficulty making this hand puppet. Honestly, we can go on and on about how awesome this Wikki Stix activity set is. Wikki Stix are basically wax coated strings that children can mold, bend, shape and stick without using glue or tape. And the sticks will last you for years! Magic Mud is a non-staining and non-toxic clay that can be fired or air dried at high temperatures. Once it has dried, children can use the clay to create 3-D objects. It will hone their fine motor skills in the process. Are you looking for a unique gift for the little painter in hands? Then gift him Melissa & Doug My First Paint with Water Kids’ Art Pad with Paintbrush. 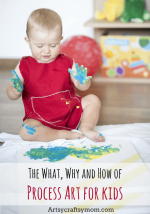 The paint on the pages come to life when your child brushes it with water. Enthralling, isn’t it? Your little ones will love getting their hands messy with these Crayola Washable Finger Paints. You can even display their messy artworks in their room. Chenille Kraft Variety Pack is an awesome starter pack for doing fun crafting and constructing with kids. It has pipe cleaners, pompoms, googly eyes, all in one package at an affordable price. Introduce these chalk pastels to your children and see them transport into a whole new artistic world. They’ll have a gala time rubbing the pastels with fingers to blend the colors. Get ready to have hours of fun with children with Spirograph Deluxe Design Set. The distinctive, interlocking wheels and gears in the Spirograph will help your child draw beautiful and intricate designs. 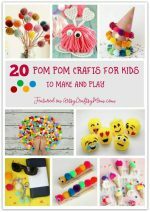 With the pompom station, children can select from six different techniques to decorate their own pompoms. The station includes 75 pompoms in various colors, one play set, eight removable trays and more. AquaBeads Ultimate Design Studio Playset contains everything children need to create a fun bead art. Kiddos just need to select a design template, create the bead art and then spray with water. This scissor skill activity book will give your child a creative direction to neat scissor work with more concentration. 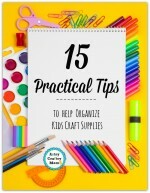 It comes packed with 20 paper cutting projects along with a plastic scissor. Let your daughter be the ultimate fashionable crafter with the American Girl Ultimate Crafting Kit. It contains the essential materials like embroidery floss, elastic cord, spools, mini bottles and more to help girls create her fashionable accessories. Let the children turn ordinary tiles into masterpiece with 4M 4563AM Magnetic Mini Tile Art. They can create any work of art and attach them to tiles. Or they can hang on the fridge using magnets. Kinetic sand is a squeezable and moldable sand that kids can use to sculpt fun works of art. The unique formula of this sand makes it soft, stretchable and thoroughly workable. Crayola Color Wonder Paw Patrol gives the children the liberty to paint their favorite colors without creating any mess. Wondering how? Because the markers that come in this set works only on the Color Wonder papers. So no more colors on the walls, furniture, and clothing. Foster your child’s creativity by gifting him or her ALEX Toys Craft My First Sewing Kit. This basic sewing set comes with stuffing, fabric, embroidery floss, needles and many more materials to help children learning sewing. ALEX Toys Little Hands Button Art is an educational art set to help children develop their fine motor skills, hand-eye coordination, and creative thinking. All your tyke needs to do is match the buttons to complete the picture. We’re quite sure these art and craft gifts will please your little one. So which of these are you planning to buy for your child? Share your choice with us in the comment section below!